300 Shields is a video slot game with 5 reels and 25 paylines. The game features a Spartan theme and is based on the blockbuster movie 300! 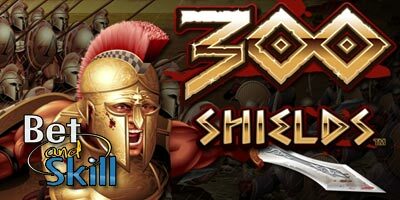 Play 300 Shields slot for free here, get exclusive free spins offers and no deposit bonuses! The main feature is the Battle Feature Free Games bonus round, triggered by getting 3 or more Shield symbols anywhere across the 5 reels. "300 Shields slot - Free Play - No deposit bonus - Free Spins"